Solagratiamom: Teaching Plans Released Today! Just in time for summer planning! The updated Teaching Plan for Year 2 is a great way to add experience based learning to the Foundations' curriculum, for those pursuing a classical education through Classical Conversations®! This plan has all 24 weeks across all subjects as well as the popular SGM Wonderful Wednesday plan! 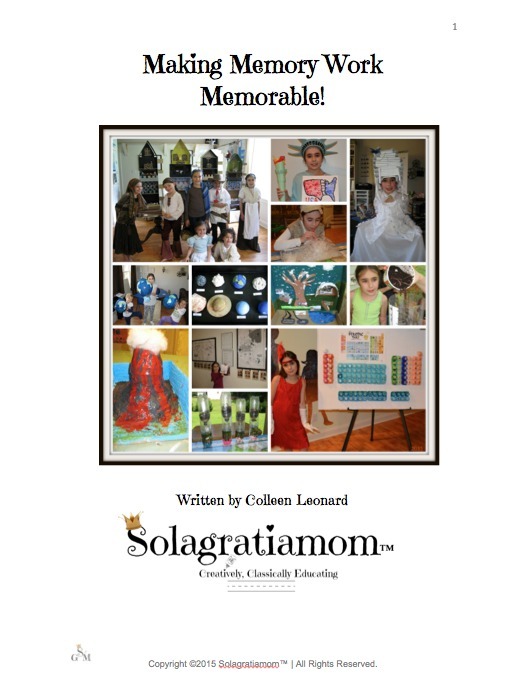 In addition, pin maps for geography, and a hands on Latin game are all included in this download purchase! 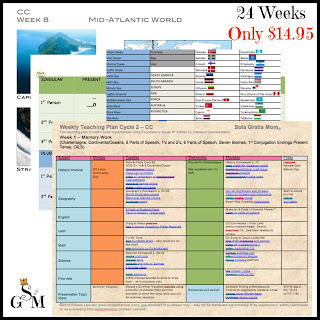 24 Week Plan + Wonderful Wednesday! 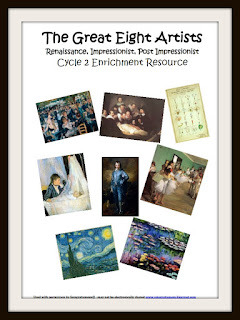 Rembrandt, Linnaeus, Gainsborough, Monet, Degas, Morisot, Renoir, and Van Gogh. There is also a vocabulary section, famous paintings for picture study, geography study related to each artist, book recommendations for deeper study and student art activities for each artist! This is a great deal at $4.99! It can be used with Year 2, any other curriculum or as an independent study of the eight most famous Renaissance to Post Impressionism artists to have ever lived. This should make summer a breeze! Now just get your favorite drink beverage and enjoy the pool for the summer - the planning is done for you! Quick question... I assume the teaching plans you released in May 2016 are for Cycle 2? Just want to make sure before buying. Thanks!